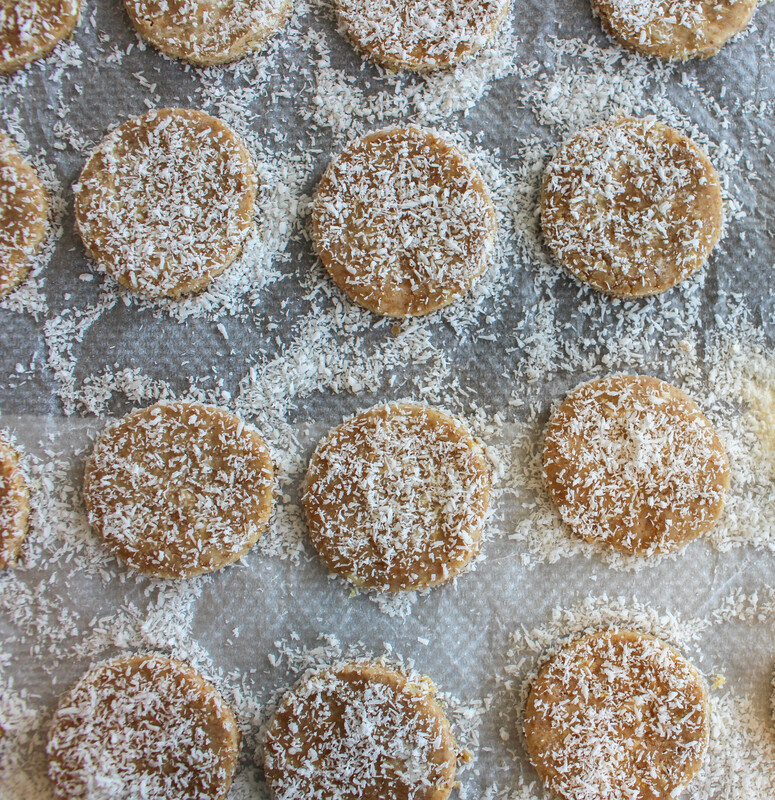 These cookies are vegan, made with unrefined sugar and are just totally delicious. Our guests couldn’t get enough of them on our last trip and even requested the recipe… so here it is. Preheat the oven to 170C. 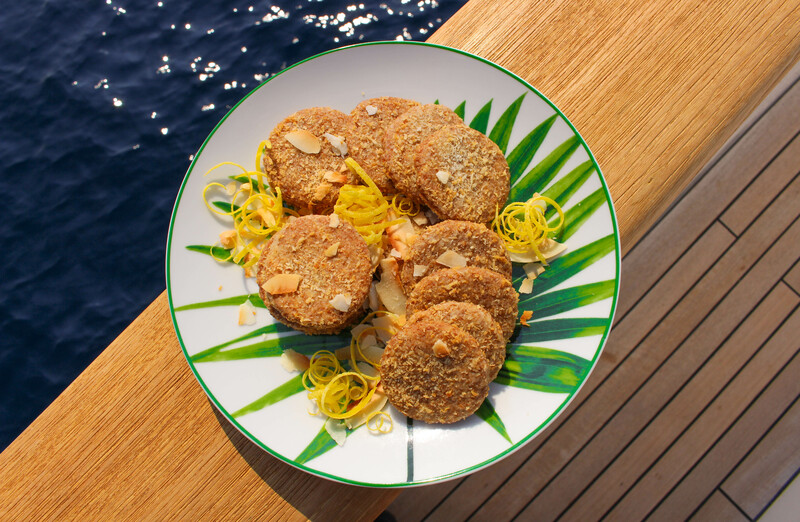 In a small bowl mix together the coconut oil, sugar, salt and lemon zest, making sure the ingredients are well combined. You can use your hands for this or a whisk if you like. Add the flours and using your hands bring the dough together, trying not to handle to dough too much. Dust a clean work surface with flour and using a rolling pin roll the dough out until it is half a centimetre thick. Use a cookie cutter to cut the cookies out of the dough. 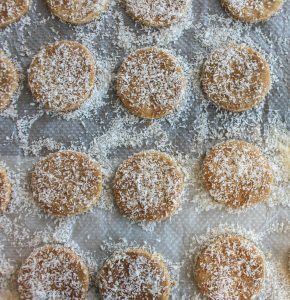 Transfer to a baking sheet lined with greaseproof paper, sprinkle each cookie with some desiccated coconut and bake in the oven for about 8mins. Remove from the oven, transfer to a wire rack to cool then enjoy!